class class loader的行为统计。Statistics on the behavior of the class loader. compiler HotSpt JIT编译器行为统计。Statistics of the behavior of the HotSpot Just-in-Time compiler. gc 垃圾回收堆的行为统计。Statistics of the behavior of the garbage collected heap. gccapacity 各个垃圾回收代容量(young,old,perm)和他们相应的空间统计。Statistics of the capacities of the generations and their corresponding spaces. gcutil 垃圾回收统计概述。Summary of garbage collection statistics. gcnew 新生代行为统计。Statistics of the behavior of the new generation. gcnewcapacity 新生代与其相应的内存空间的统计。Statistics of the sizes of the new generations and its corresponding spaces. gcold 年老代和永生代行为统计。Statistics of the behavior of the old and permanent generations. gcoldcapacity 年老代行为统计。Statistics of the sizes of the old generation. gcpermcapacity 永生代行为统计。Statistics of the sizes of the permanent generation. 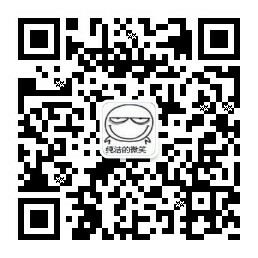 printcompilation HotSpot编译方法统计。HotSpot compilation method statistics. 670 interned Strings occupying 43720 bytes. -J< flag > 因为 jhat 命令实际上会启动一个JVM来执行, 通过 -J 可以在启动JVM时传入一些启动参数. 例如, -J-Xmx512m 则指定运行 jhat 的Java虚拟机使用的最大堆内存为 512 MB. 如果需要使用多个JVM启动参数,则传入多个 -Jxxxxxx.